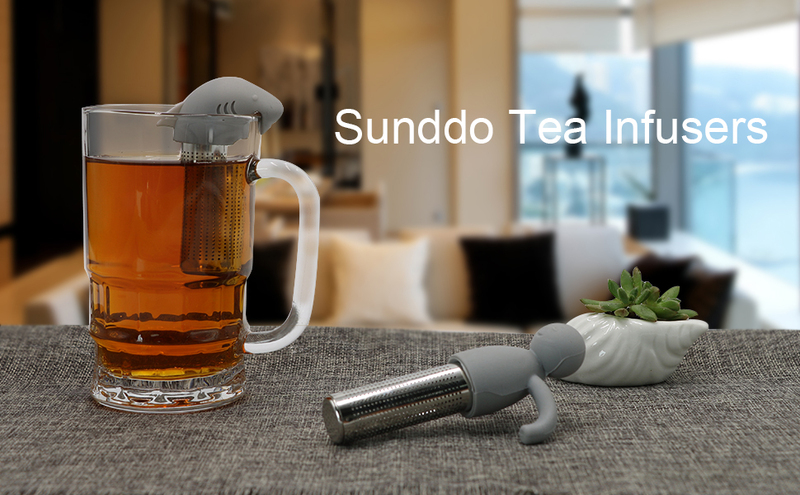 If you are a tea lover, and love the fragrant of loose tea but do not always have time or company to brew a pot, Sunddo tea infuser is a pleasurable solution. 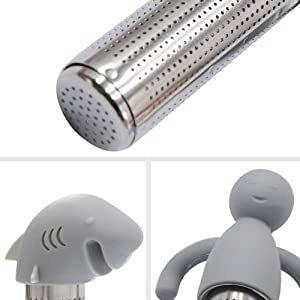 Cute shark and man steeper made of silicone and stainless steel.Cute shape, which makes you feel funny when you enjoy your tea. 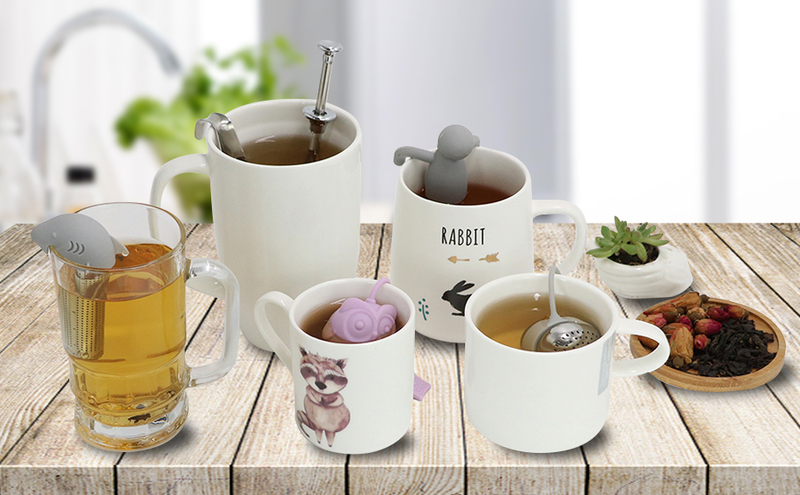 FITS almost all cups and mugs. 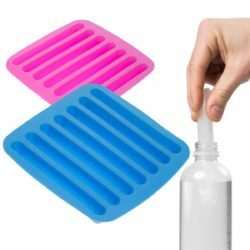 DISHWASHER SAFE– Simple to use and easy to clean. Perfect combination of food grade silicone and 304 stainless-steel . 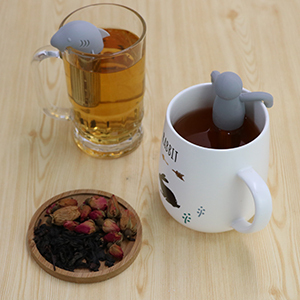 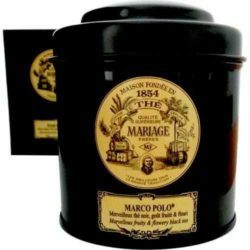 The material adds no taste, no color, and no smell to your cup of tea. 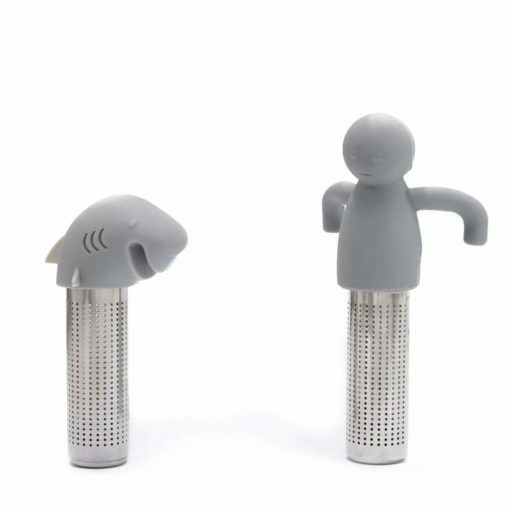 Light and durable,a great way to enjoy whole leaf tea without using a bulky metal strainer. 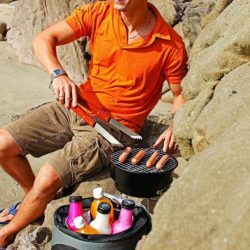 The advanced food grade material won’t transfer heat,no more burntyour fingers.